Directors of Production and Motion Graphics people are all told when their reel is thin to do spec spots for various clients. So, a potential new employee who is looking for his or her next opportunity might mock up a car commercial. 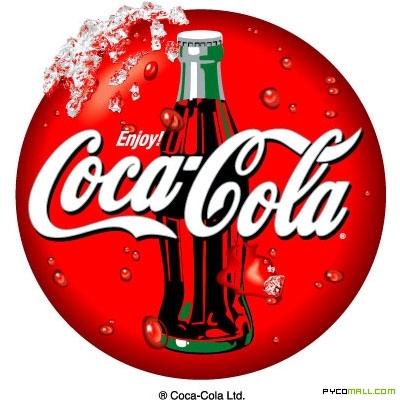 For example, a graphics guy might do a commercial for Coca-Cola using the trademark and other identifiable elements. The spec spot will always include using trademarks and identifiable products. Finally, some people have actually had their spec spots turned into real commercials. What’s the ruling on that? Great question. There are several items of intellectual property at play within this scenario. There are trademark issues, copyright issues, work made for hire questions and possibly even a right of publicity issue. Let’s look at each of the issues separately. The first and most obvious issue to me is that of the trademark. I like the example of Coca-Cola because it is such a recognizable and valuable trademark. As the trademark owner, Coca-Cola has the exclusive right to use its mark in commerce. The trademark allows the consumer to know which company produced the product and performs a marketing function for the company, based upon the public’s association between products and the trademarks used. Trademark usage rights are co-extensive, meaning you can only stop others from using your mark when used within the product market. Our example here is not using the Coca-Cola trademark to sell other carbonated beverages, but is rather used with the hopes of selling more products made by Coca-Cola. Also, I am assuming the reel would not be put in a public forum like YouTube, that the person making the reel would not hold themselves out to actually being a current Coca-Cola employee or indicate the commercial was produced by the Coca-Cola creative team. A disclaimer prior to the spec spot would serve a great purpose. For a more in-depth discussion about filming trademarks be sure to check out two earlier posts, Trademarks In Television, Part 1 and Trademarks in Television, Part 2. The copyright issue and the work made for hire issue are a bit more complicated. Copyright exists and is extendable to original works of authorship fixed within a tangible medium of expression. There is no doubt that a person creating a spec spot would add creative elements and make it the most creative piece they could. Their main reason being to make it overly creative is to, as my Granmaw used to say, “show out” for their potential new employer. Because of that, copyright protection would exist. The question, though, is who owns the spec spot? Was the potential new employee a work made for hire? The simple answer is – it depends. It depends on what was the agreement with the potential new employer. Did the potential employer make it clear to you that if you did a spec spot, they owned the rights in the final product? Did you agree to this in writing? Or, did they simply say send something over as an example of what you can do with our product? If there was written correspondence where the potential employer indicated they do consider this a work made for hire and the potential employee was paid some nominal fee, then the company (in our scenario Coca-Cola) would own the finalized product. However, if there was no written indication and no payment, then ownership rights fall to the potential employee. To sum, if you have a writing (even an email) outlining their requests, then save it. It should be mentioned, though, ideas are never subject to copyright protection. Only the expression of those ideas. Meaning, you turn in a spec spot to Coca-Cola that involves an elaborate car chase mixed along a beach with animation. Then, several months down the line you see a similar type of commercial featuring not the exact cars you used, a mountain landscape versus a beach, but all of your same ideas. In that case, Coca-Cola did use your idea, but did not infringe on your copyright because it was not your exact expression of your idea. There was no COPYing so no COPYright infringement. See what I did there? Finally is the issue of right of publicity. Unlike copyright and trademark law, right of publicity is not federal law and varies from state to state. If you had actors in your spec spot, then it would be upon you to clearly outline in a written document how their image will be used. You would want to fully explain that the spec spot they are participating in may be turned over to a future company, and they give you permission to do so. Some all inclusive language in your actor release would not be a bad thing either. For more detailed reading on right of publicity check out the posts Imagine Lennon Endorsing a Business and Hollywood Celebrities in Books. This was a wonderful concept to think about, and I appreciate the idea. Thank you for reading, writing and sending in your suggestions. Share with your friends and Stay Tuned In!